Former defence minister Manohar Parrikar has said the planning for the September 2016 surgical strikes in Pakistan Occupied Kashmir started in June 2015 after the NSCN-K ambushed an army convoy in Manipur. 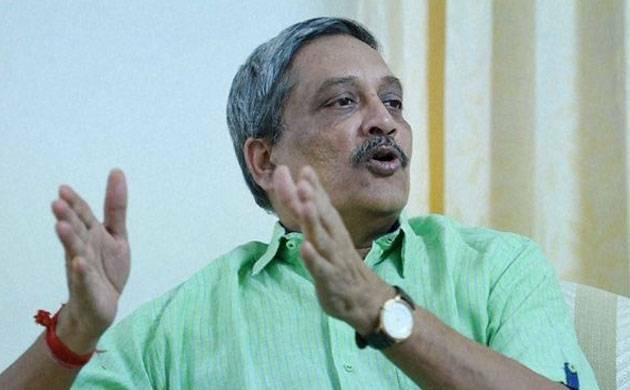 Recapping events that led to the surgical strike in September last year, Parrikar told a gathering of industrialists yesterday that he felt “insulted” when he heard about the June 4, 2015 incident in which 18 jawans were killed. “The starting of September 29 (2016) surgical strike on the western border was 9th of June, 2015....We planned 15 months in advance. Additional troops were trained. Equipment was procured on priority basis,” he said. The Swathi Weapon Locating Radar, developed by the DRDO, was used first in September 2016 to locate “firing units” of Pakistani Army, though the system was inducted officially three months later, Parrikar said. It was thanks to the Swathi Radar that 40 firing units of Pakistani Army were destroyed, he added. “It was a very successful strike,” he said. On the Army’s side, the only injury was a leech attaching itself to a soldier’s leg. Contrary to some reports, no helicopters were used. “I had placed helicopters (on stand-by) only in case of emergency evacuation,” he said. He also listened intently to a TV discussion with his ministerial colleague Rajyavardhan Singh Rathore. “... one question (from media) hurt me. Rajyavardhan Singh Rathore, an ex-Armyman, was on TV and he was explaining about all kinds of search operations. An anchor asked him ‘would you have the courage and capability of doing the same on the western front’,” Parrikar recalled.